GPSA President Amir Gilmore explains how students' money is used on campus and answers questions from the crowd during the WSU Student Affairs S&A Town Hall on Thursday at the Chinook. Members of the Services and Activities (S&A) Fee Committee held an informational session to help increase understanding of the S&A Fee allocation process and transparency about how money from student fees is spent. Every student at WSU pays for S&A Fees in addition to their tuition, ASWSU President Savannah Rogers said. These fees are collectively used to fund services, activities, events and groups available to every student on campus. S&A Fees are used to fund a variety of services including university recreation, transportation, ASWSU, GPSA, student involvement and student entertainment, according to a chart on the S&A Fees website. Rick Flores, S&A Fee committee chair, said these fees can be thought of as an investment that benefits the entire WSU community and experience. The S&A Fee Committee is comprised of representatives from the student body, faculty, administration and administrative support. Rogers said the majority of the committee is made up of student members. She said the S&A Committee agrees on a recommended rate and allocation of the S&A Fees on a yearly basis. This recommendation is given to the WSU president and then confirmed by the Board of Regents. Rogers said the rate of the fees can decrease by an unlimited amount. However, state law mandates the fees can only be increased by 4 percent per year. S&A Fees have decreased for students over the last two years, according to a slideshow presented during the session. This year’s fees cost $537 per student, and this totaled to more than $9.3 million allocated to student groups, services and events around campus. The S&A Committee holds student-led hearings in which student groups can request a certain amount of money for their various needs. Rogers said groups can request a specific amount of money, and the committee can approve that amount, or give more or less. She said hearings will be held this year on April 2 and 3, with deliberations being held April 4. Rogers said the committee discussed the importance of providing more than just adequate funding for campus resources, activities and events. “I can promise we will be really conscious of how we are spending student dollars,” she said. 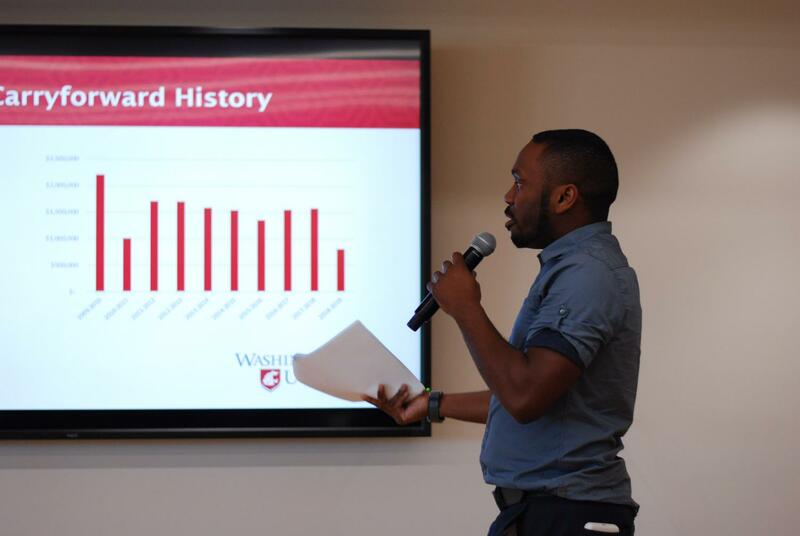 GPSA President Amir Gilmore encouraged dialogue in the WSU student community about the way money from S&A Fees is being spent. “We need to have a conversation about access, equity and utilization,” Gilmore said.